then laid down my phone. 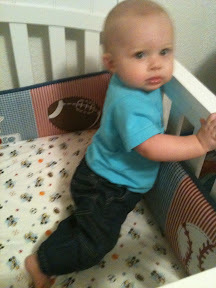 Tristan decided he wanted it...so he crawled to it! 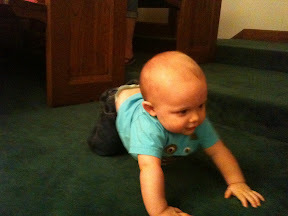 Alex got a video of him crawling just a couple steps the second time. He takes two crawly steps toward me about halfway through the video.